Boston Family Boat Building has been building 10ft skiffs with students in the Boston Public Schools for the past 5 years. We recently worked with the skiff's designer, Nat Benjamin, to develop a sail plan for the boat. Our lead volunteer, Roger Andrews, spent the last few months completing the refit. 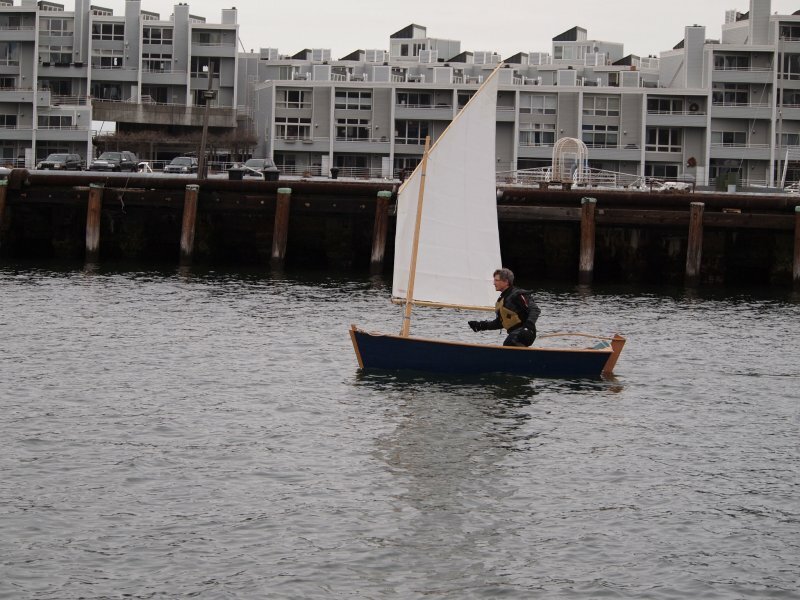 We launched Alice on Saturday 2/23/13 at Courageous Sailing Center on Boston Harbor. Thanks so much to everyone involved. We hope to have a fleet of these sailing in Jamaica Pond soon.